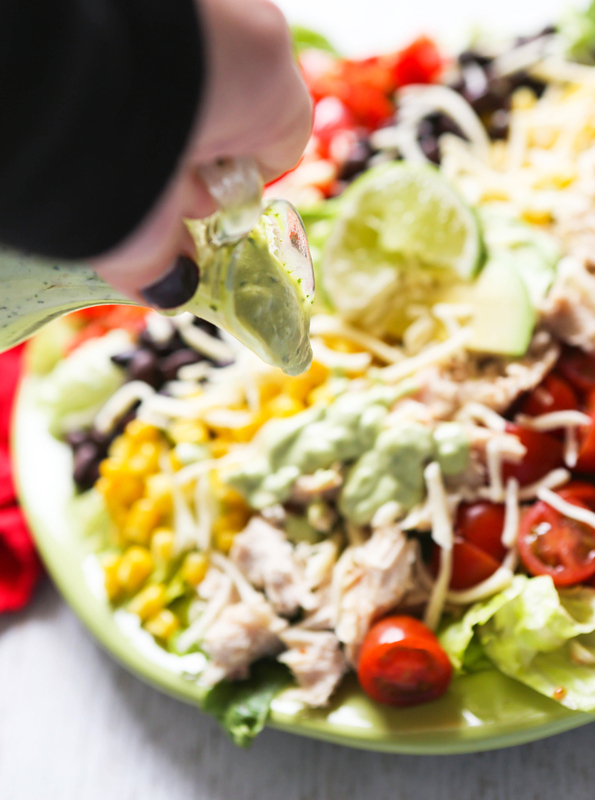 Southwest Chicken Salad Recipe with Avocado Ranch Dressing — Pip and Ebby - easy, delicious recipes! 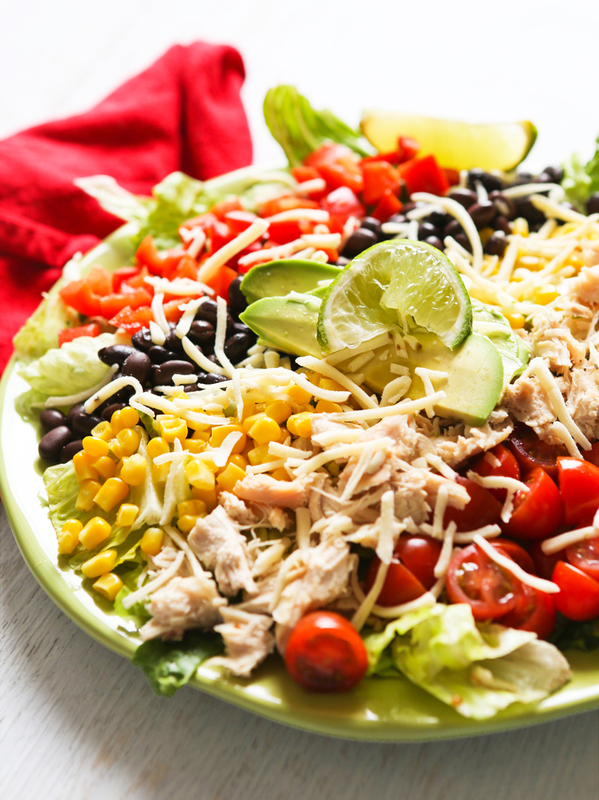 This Southwest Chicken Salad is light yet satisfying; healthy yet delicious! The Avocado Ranch Dressing sends it over the top! Great as lunch or dinner. My hubby and I are currently on a kidless trip, many states away from home. An hour after we departed Minneapolis yesterday a huge snowfall dumped on the Cities. We got out just in time! The view from our room here in San Antonio is indescribable and the audio is even better. 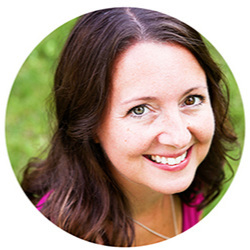 Birds are chirping, a waterfall is nearby and there are endless trees for the breeze to tickle. I wanted to get this Southwest Chicken Salad posted because a handful of people have asked for the recipe after I posted a photo of it on Facebook. I have two recipes left to post after this one from my lunch craze and after that we can move onto another craze. What should the next one be? Easy dinners? Fish? Grilling? Frozen desserts? This salad is SO GOOD and the Avocado Ranch Dressing sends it into the realm of greatness. I devoured every morsel you see on this plate and then had another for dinner. I'd really love to stay and chat, but vacation calls! We are going to explore the Alamo today and maybe the River Walk, as well. Oooooo I love vacation! Have a great day, friends. This salad is light yet satisfying, healthy yet delicious! Top with cheese, avocado slices, lime wedges and enjoy!